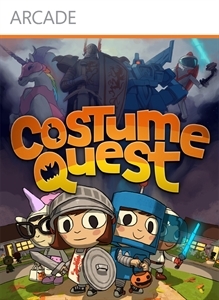 Continue the Costume Quest adventure by exploring the monster world, Repugia. Face new enemies while collecting additional quests, costumes, battle stamps and creepy treat cards. Help the monsters overthrow Araxia to bring peace back to Repugia! Unlock now!